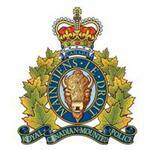 RCMP Alberta - On September 2, 2018 at around 4:50 a.m. on Highway 5 near Township Road 82 two people were walking on the highway southbound. The man and a woman had just left the Lethbridge City limits walking towards the Lethbridge Airport. The man was on the southbound driving lane and struck by a truck also heading southbound. The woman was not hit by the truck nor injured. Coaldale RCMP members, Lethbridge Police Service members, Lethbridge Fire/EMS all responded to this event. Tragically, a 26 year old man from the Blood Tribe Reserve was pronounced deceased on scene. Coaldale RCMP assumed the investigation and received valuable traffic assistance from the Lethbridge Police Service members until Volker Stevin staff could take over. A RCMP Calgary traffic reconstructionist was requested and attended the scene. The Calgary Medical Examiners Office was notified and provided direction. Blood Tribe Police Service assisted with the next of kin notification. The name of the deceased will not be released by Coaldale RCMP. Lethbridge Corridor Victim Services Unit assisted with the woman pedestrian as she was clearly in shock and upset. At the time of the collision it was dark outside but there were street lights on in the area. The speed zone is a 60 km/p/h area. The paved highway was dry and weather around plus 11 degrees Celsius. Visibility was not obstructed other than normal darkness. The short portion of Highway 5 between the city limits and the Lethbridge Airport was impassable for a number of hours and traffic diverted until noon. This investigation revealed the truck that struck the deceased failed to remain at the scene. With the assistance of local media, the truck involved in this collision was identified and examined by Coaldale RCMP. The driver of the red Dodge pickup truck has now been identified as 31 year old Michael White Quills of Cardston, Alberta. White Quills was recently arrested and released for his first court appearance at the Lethbridge Provincial Court on March 6, 2019. He will be facing one count of Section 252 (1.3) of the Criminal Code - Fail to stop/remain at a collision causing death.